The six-hour race at Spa-Francorchamps (BE) is far more than just the second round of the FIA World Endurance Championship WEC: The race on May 6 is known as the dress rehearsal for Le Mans. The Porsche LMP Team enters in Spa, as well as at the 24-hour classic in Le Mans (June 17/18), two Porsche 919 Hybrids with the same six works drivers. After finishing second and third at the season’s opening round in Silverstone (GB), Porsche heads to the Ardennes mountains leading the manufacturer standings. In the duel with Toyota at Spa and Le Mans, title defender Porsche is one car less compared to the Silverstone winning squad which enters three prototypes in both races. Regarding the aerodynamics of the Porsche 919 Hybrids, the focus remains on preparing for the season’s highlight in France. The aero package with low downforce, however, provides some advantages in Spa on the long flat-out sections. Also on top of the job list is sheer power because the 7.004 kilometre long Grand Prix circuit offers huge altitude differences. The Porsche GT Team fields two new Porsche 911 RSR on the Formula 1 circuit in Belgium’s Ardennes region. The 510 hp race car was developed from scratch at Porsche Motorsport in Weissach based on the seventh generation of the iconic 911 sports car. 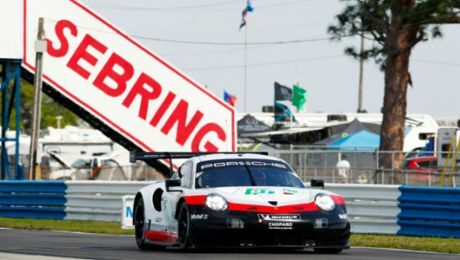 After its successful race debut in the USA, the 911 RSR netted another podium result over Easter clinching third place at the WEC season-opening round in Silverstone. Preparation work for the Porsche LMP Team goes according to plan. In the first two free practice sessions ahead of the six-hour race in Spa-Francorchamps (BE), drivers Earl Bamber (NZ), Timo Bernhard (DE) and Brendon Hartley (NZ) came second. The sister Porsche 919 Hybrid that is shared by reigning world champion Neel Jani (CH), André Lotterer (DE) and Nick Tandy (GB), was third in both sessions. Despite occasional very light rain showers, both 90-minute sessions on the 7.004- kilometre long track in the Ardennes mountains were held in dry conditions. Timo Bernhard recorded the fastest lap for a Porsche 919 Hybrid today in 1:56.874 minutes. For comparison, in 2016 Brendon Hartley achieved the best time on day one of 1:58.012 minutes. This means the current lap time is more than one second below last year’s level, although the 2017 regulations have implemented significant aerodynamic restrictions. Just as it was the case a year ago, Porsche competes in Spa using a low downforce aero kit that has been developed for Le Mans. 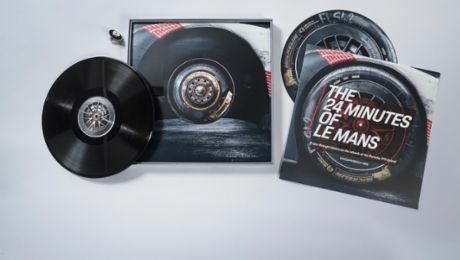 Measuring 7.004 kilometres, the Grand Prix circuit in the hilly countryside of the Ardennes is the second longest racetrack on the WEC calendar after Le Mans. The difficult rollercoaster course throws everything at drivers and is guaranteed to provide fans with plenty of gripping action. The circuit’s corners have illustrious names such as La Source, Blanchimont and Stavelot, and then there is, of course, Eau Rouge. This daunting corner has made the Circuit de Spa-Francorchamps as well-known as the delicious waffles that are sold around the track. 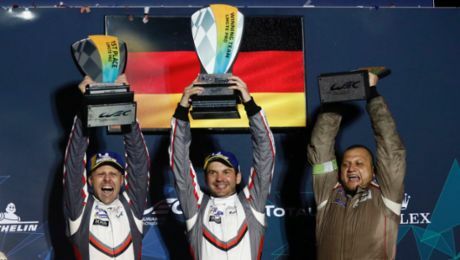 The Porsche LMP Team enters two Porsche 919 Hybrids with the same six works drivers. Reigning world champion Neel Jani (CH) has the number 1 on the car he shares with André Lotterer (DE) and Nick Tandy (GB). The number 2 sister car belongs to Earl Bamber (NZ), Timo Bernhard (DE) and Brendon Hartley (NZ). Four Porsche works drivers contest the race at Spa for the Porsche GT Team in the new 911 RSR. In the GTE-Pro class, Richard Lietz (Austria), the WEC GT Champion of 2015, and Frédéric Makowiecki (France) share the cockpit of the #91 vehicle. These two started into the 2017 season with third place at the Silverstone season-opener. Michael Christensen (Denmark) and Kévin Estre (France) man the #92 car. In the GTE-Am class, two Porsche customer teams campaign a 911 RSR from previous years: Dempsey Proton Racing for Porsche Young Professional Matteo Cairoli (Italy), Christian Ried (Germany) and Marvin Dienst (Germany) as well as Gulf Racing for Michael Wainwright (Great Britain), Nick Foster (Australia) and Ben Barker (Great Britain). The Porsche 919 Hybrid has been widely reworked for the 2017 championship. 60 to 70 per cent of the Le Mans prototype’s components are new developments. This especially concerns the areas of aerodynamics, chassis and combustion engine. However, the power train in principle remains the same. The innovative hybrid race car develops a system power of around 662 kW (900 HP) that comes from a compact two-litre turbo charged V4-cylinder (nearly 500 PS/368 kW) and two different energy recovery systems – brake energy from the front axle combined with exhaust energy. The combustion engine drives the rear axle while the electro motor boosts the front axle with an output of more than 294 kW (400 PS). The electrical energy that comes from the front brakes and the exhaust system is temporarily stored in a liquid-cooled lithium ion battery. The 30-car WEC field is divided into four classes for prototypes and GT sports cars. The WEC efficiency regulations limit the amount of energy that can be used per lap. On the 7.004 kilometres long lap of Spa-Francorchamps, the Porsche 919 Hybrid can use 6.37 megajoule of electrical power from energy recovery systems and 1.784 kg/2.464 litres of petrol. At normal race speed, the Porsche 919 Hybrid is due for refuelling after a maximum of 24 laps. For a permanent race track, a lap on the Circuit de Spa-Francorchamps is remarkably long and peppered with 19 corners, many of them being spectacular ones. After the start, the field has to go through the right-hand hairpin of “La Source” before racing downhill to “Eau Rouge” to be compressed through its left-right combination. The uphill “Kemmel” straight leads to the winding back section of the circuit. After snaking through “Malmedy”, “Rivage”, “Pouhon” and “Fagnes”, at the exit of the right-hander “Stavelot” it’s full throttle again until the very tight “Bus Stop” chicane before the start-finish line. The circuit is situated in the triangle of the towns Stavelot, Spa and Malmedy. Because the German border is only 20 kilometres away, many race fans from this neighbouring country tend to attend.